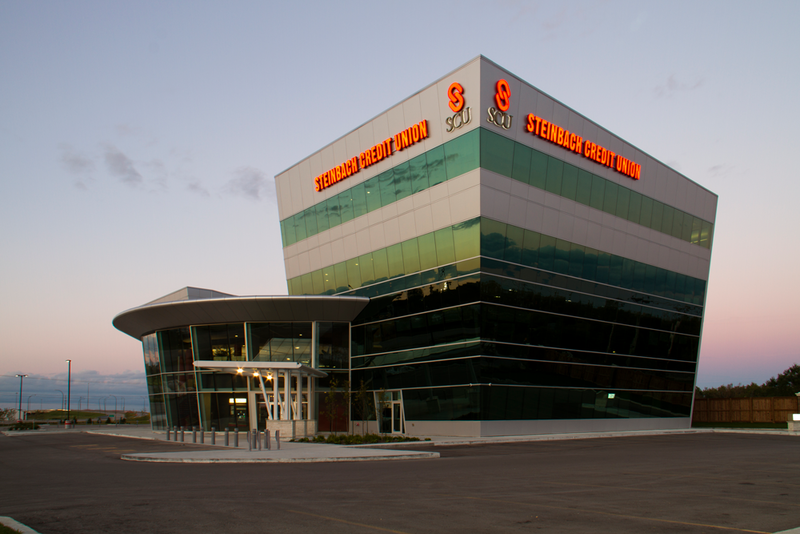 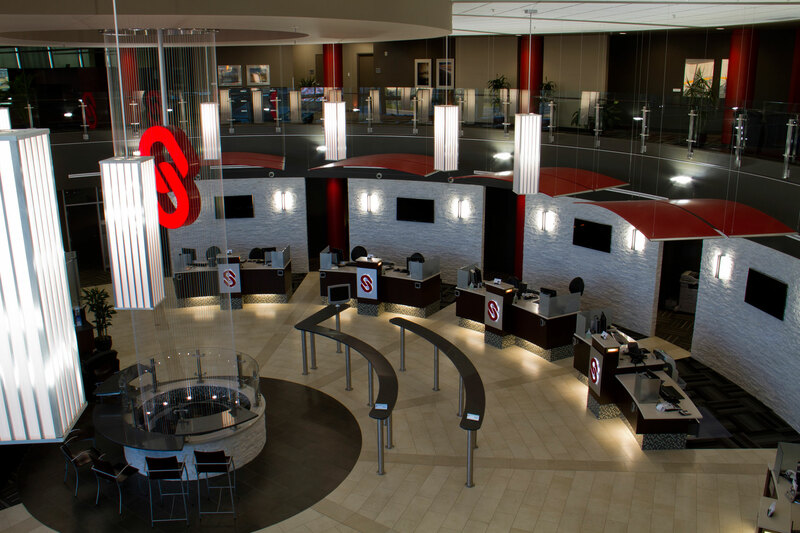 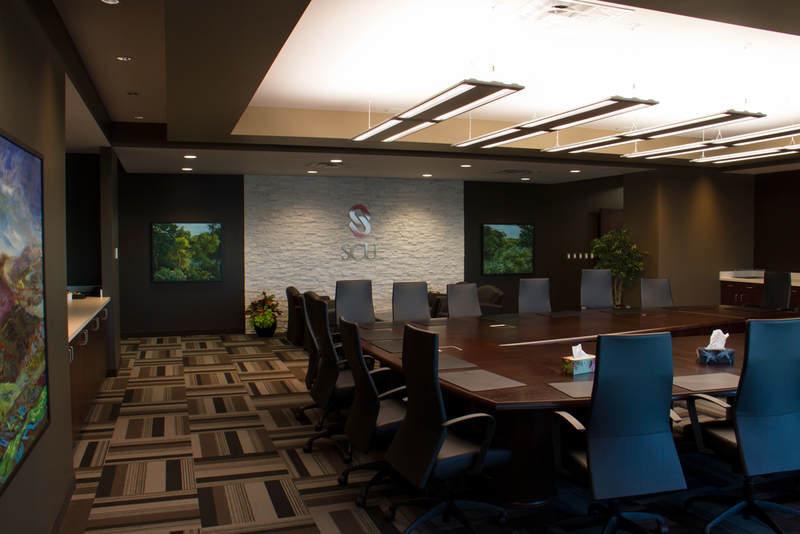 Three Way Builders was excited with its role as Construction Managers for this project – a 40,500 sq.ft. 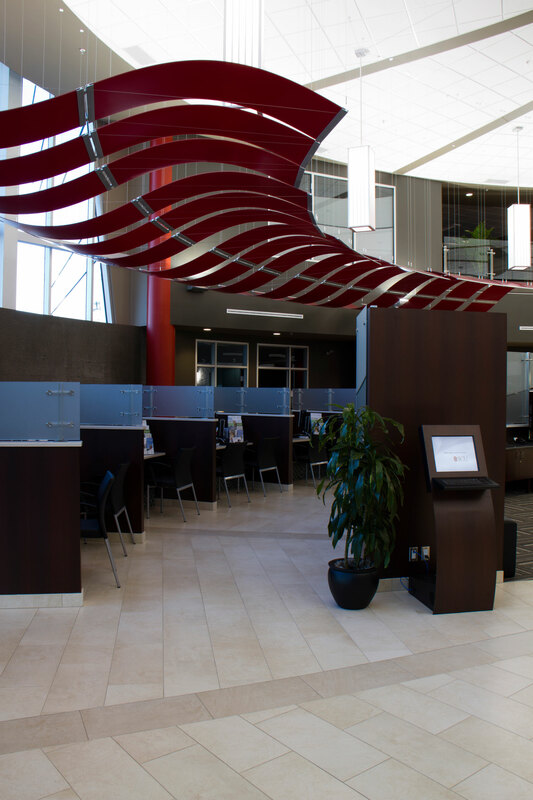 building – the largest financial institution branch ever built in Manitoba. 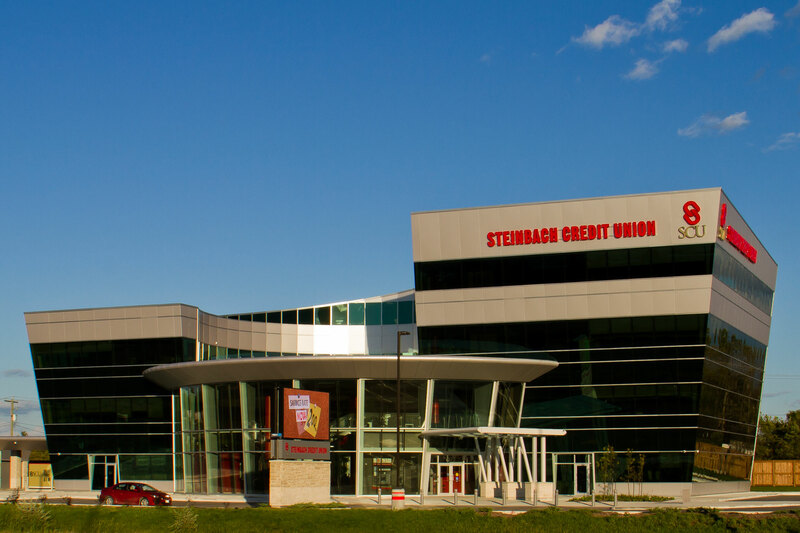 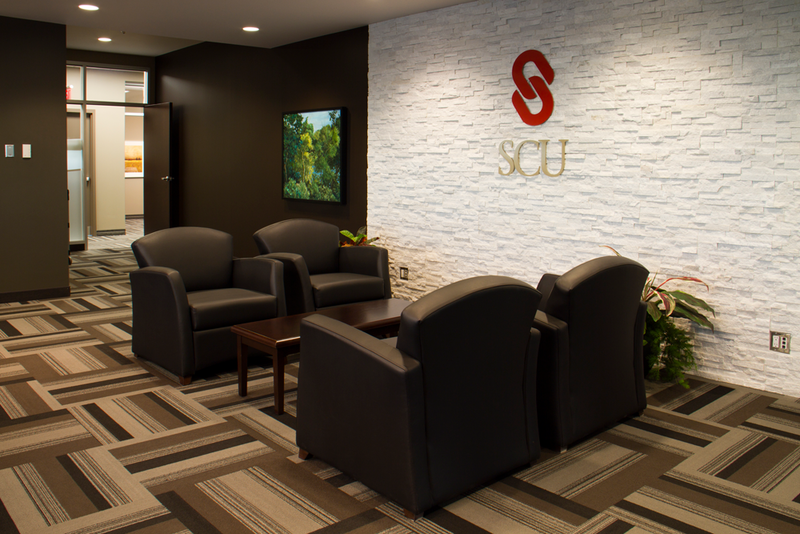 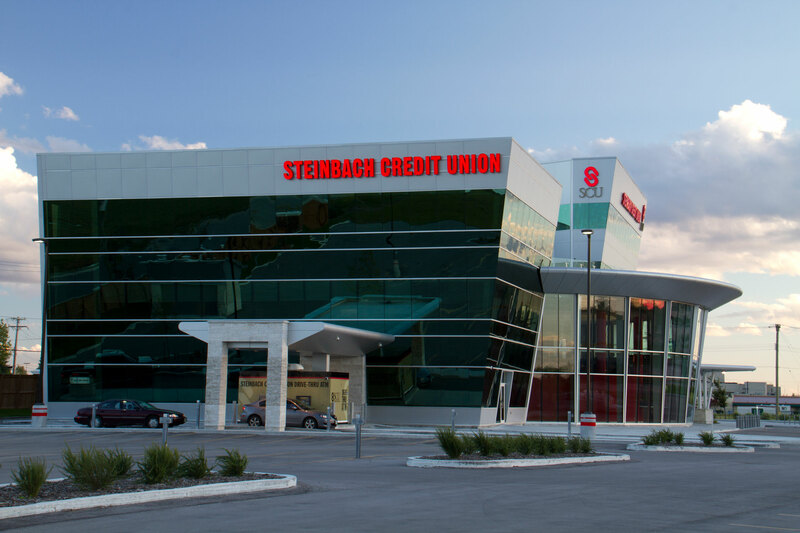 The building, located at Lagimodiere Boulevard and Almey Avenue in Winnipeg, is the second Steinbach Credit Union branch in the city. 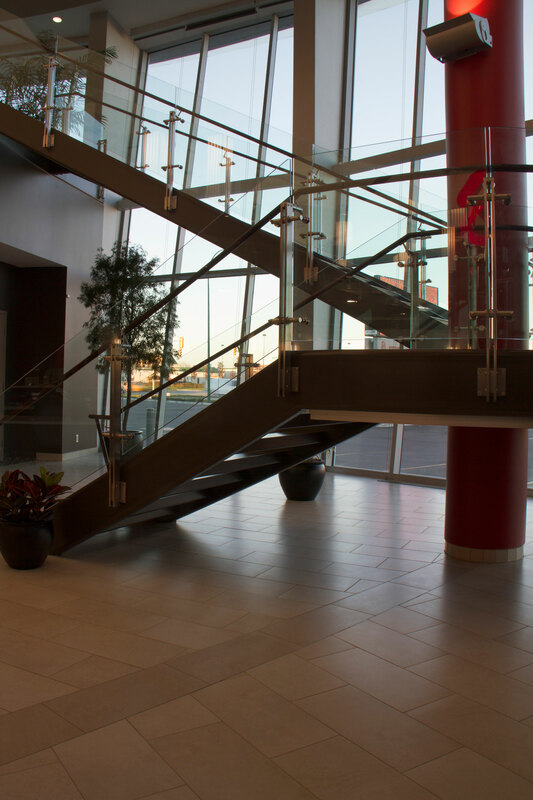 The four-story building is unique with its tapered glass curtain wall on three sides. 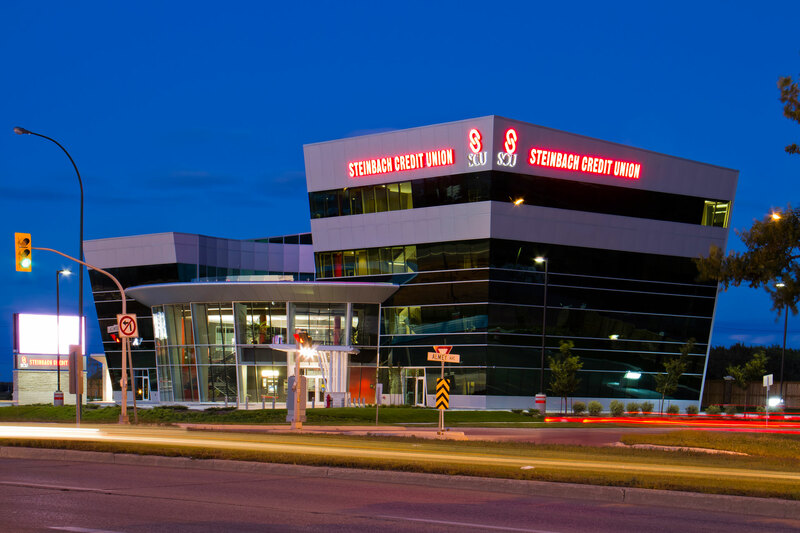 The building is a Manitoba Hydro Power Smart project with environmentally friendly features such as geothermal heating and cooling systems and energy efficient windows.